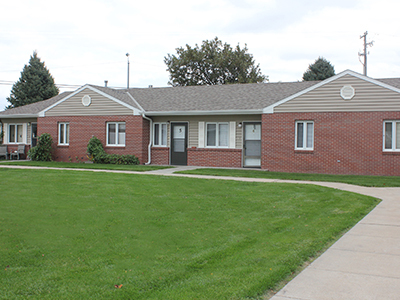 York General provides a variety of adult housing options on its Meadow View campus, which is located on the west side of North Lincoln Avenue. 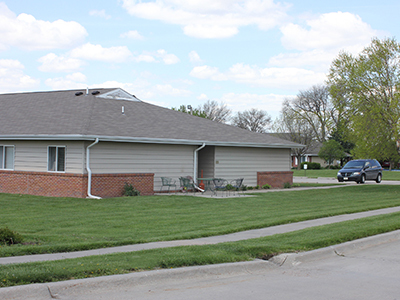 Meadowlark Independent Living has twelve 2-bedroom/2-bath, apartments for adults 55 years of age or older. Each apartment has 900 square feet of living space. Water, sewer, and garbage collection are included in the rent. These units provide adults with a good alternative to home ownership. The campus is nicely landscaped, located close to healthcare providers and services, and convenient to downtown York. Each unit has disability access. Pets are allowed with prior approval. Privately owned duplex residences for individuals 55 and older are also located on the Meadow View Campus just blocks from physician offices, pharmacy, hospital, and York General Wellness Center. Benefits include 10% discount at York General Wellness Center, yard maintenance for low monthly fees (no need to mow the lawn or scoop snow), garbage collection service, and low-cost handyman services as needed. The Court and The Place are two government subsidized housing units located on York General West View Campus. Each has a community room with a full kitchen that can be used to cook for larger gatherings. This area can also be used for crafts and hobbies and reserved for family or personal events. The Court is an HUD-subsidized housing facility for the low-income elderly or handicapped. This 26-unit facility offers sixteen one-bedroom apartments, seven efficiency apartments, and three handicapped accessible units. All kitchen appliances are furnished and each apartment has a pantry for storage. In addition, The Court has an on-site, coin-operated laundry facility. All units have exterior entrances. These independent units offer a feeling of home with lovely open spaces and park benches for enjoying the weather or chatting with neighbors. The Place is a USDA Rural Development subsidized housing facility for low- to moderate-income elderly or handicapped. This 20-unit facility has 19 large, one-bedroom apartments and one handicapped-accessible unit. All kitchen appliances are furnished. Each apartment also has a large pantry and closet storage. All units have interior entrances to the apartment. The Place also has two on-site, coin-operated laundry facilities. The campus beauty shop is located in this building.